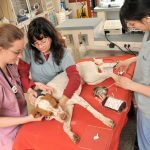 In order to serve the dual missions of both serving the shelter community and teaching veterinary students surgical techniques in the most ethically acceptable manner, the Shelter Medicine Program has partnered with clinical sciences faculty to enhance the surgical teaching program. A description of the surgical components of the program is detailed here, while the specific student opportunities for participation are explained in the listings of Selectives and Electives/Clinical Rotations. 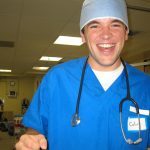 All surgical training takes place in the Luke and Lily Lerner Spay/Neuter Clinic. 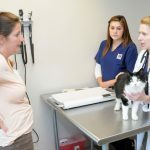 Offered ten times an academic year, this clinic serves unsocialized free-roaming cats from Worcester County. 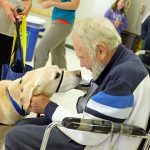 The clinics are held on Sundays and are coordinated and staffed by volunteers supported by our shelter medicine technicians and veterinarians. We partner with local feline rescue organizations who coordinate cat trapping. 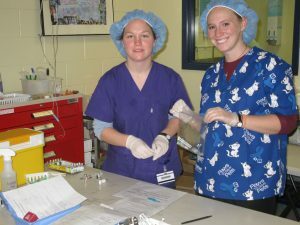 Pre-clinical students volunteer to gain experience with physical exam and technical skills such as surgical prep, administering injections, and monitoring animals in recovery. The students are also exposed to the public policy and ethical aspects of running a model TNR clinic. 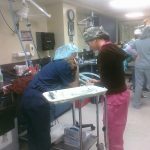 In addition, at each clinic, third- and fourth-year student surgeons perform at least two cats spays each and several cat neuters each. 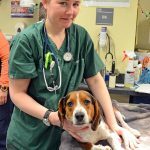 Every Friday the Tufts Shelter Medicine program runs a high-quality/high-volume spay/neuter clinic for cats and dogs from area animal shelters. 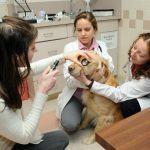 Fourth-year students may spend time in the clinic performing surgery as part of a combined elective rotation with Tufts VETS, Tufts University’s specialty and emergency hospital in Walpole, MA. 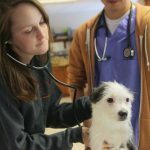 During the spring semester we hold a rotation for graduating senior students involving four days of surgery on shelter animals and one day of didactic lecture related to spay/neuter surgery and anesthesia in the context of shelter animals or field programs. The program will be offered for five to seven weeks each year.